People have been using music as a therapy for years without actually realising it, as music inadvertently allows expression of thoughts, release of stress and as a way of displaying emotions. Experts have recently developed this knowledge into a way of actively treating many psychological disorders including aerophobia, and it is now recognised as a legitimate treatment option and is increasing in use. Specialists believe that music can be used as a way of expressing emotions, particularly those that are painful or distressing. The overall aims of music therapy are to increase social interaction and skills, raise issues of self-esteem, develop the ability to express oneself and to build coping mechanisms. It can also be used to reduce anxiety, alter habitual behaviours and thought processes, amend distorted thinking and reduce avoidance techniques. The sufferer of the phobia and the therapist, work together to identify the goals and aims of the sessions and agree to be proactive and positive about the therapy. Using vocal sounds and a selection of instruments, the sufferer and therapist work as a team to find ways of developing these methods of expression, and combine this with relaxation, discussion of the music and sounds, appreciate the music and interpret and analyse the sounds. These factors should all contribute to the sufferer being able to convey beliefs, thoughts and ideals and change thought processes into more positive, structured and realistic thoughts and images. Depending on the type of music chosen by the person and the therapist, it can have a very calming and relaxing effect which in turn can produce positive physiological changes such as a decrease in heart rate and a slowing and regulation of breathing. Alternatively lively music that seems to tell a story may be beneficial due to its ability of grabbing attention and acting as a distraction. Both of these factors are important when treating a distressing phobia. Music therapists are highly qualified practitioners who normally have a very strong background in music both practically and academically. They are not intended to serve as music teachers as such, but as a guide to allowing the sufferer to feel the full potential and therapeutic factors that surround music and sound. It is important to always ask the therapist for proof of certification as there are those who claim to be therapists who have no actual experience or training, but will charge full fees for treatment. 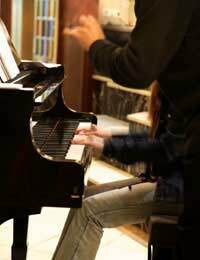 Initial assessment and planning will normally be carried out on a one-to-one basis, but discussions, interpretation and analysis of the treatment may be able to be done in a group environment, allowing the individual plenty of opportunity for raising their awareness of the possibilities of music therapy and to appreciate the views of others. Since the development of music therapy as a recommended treatment option, specialists continue to research and extend the knowledge concerning the benefits of music, even to the extent of using brainwaves experienced during episodes of anxiety being translated into sound patterns that are played back to the person, (a technique called Brain Music Therapy); this is a method of neuro-feedback. This is just one example of how music therapy is being developed in modern usage. Music therapy has always been used, but only recently as an approved and highly recommended therapy, particularly for disorders such as phobias that cause distress to the sufferer.